From most of my readings on alternative medicine, much has been said on the effects of the mind on the physical ailments of people. 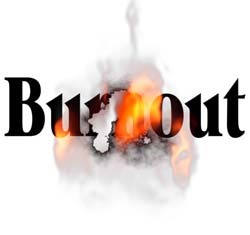 For burnouts, conventional doctors would agree that while there are several different causes of burnout, the underlying root is psychological. In alternative medicine, they believe that this is physical in nature. 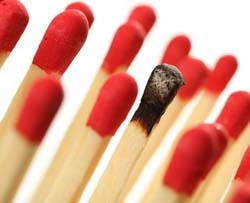 They say that the conventional psychological explanations of burnout don’t get to the heart of the problem and often prevent people from getting the right help. They call this the depletion syndrome. When you carry a great physical and emotional load for too long without letup, your body simply can’t keep up and it starts to show up as one or more of the burnout symptoms. These symptoms include constant fatigue, irritability, insomnia, anxiety and even allergy, digestive problems and so on. Alternative cures would start on diet. Try cutting on sugar and on starchy foods (bread, rice and potatoes) and keep cutting until your energy rises, According to a book, these high carbohydrate diet would only produce too much roller coaster in blood sugar levels. You also need extra rest. Either more nighttime hours, daily naps or some relaxing quiet time alone. Whole doing these relaxation techniques, try to do diaphragmatic breathing. Inhale slowly through your mouth, feeling the belly expand, then exhale through your mouth. This is a good exercise which can be done anytime and anywhere. Do some stretching exercise also. You can do walking and stretching during office lunch time. There are a lot of ways to banish burnout symptoms. Just be aware that your body needs time to rest and try not to worry so much.